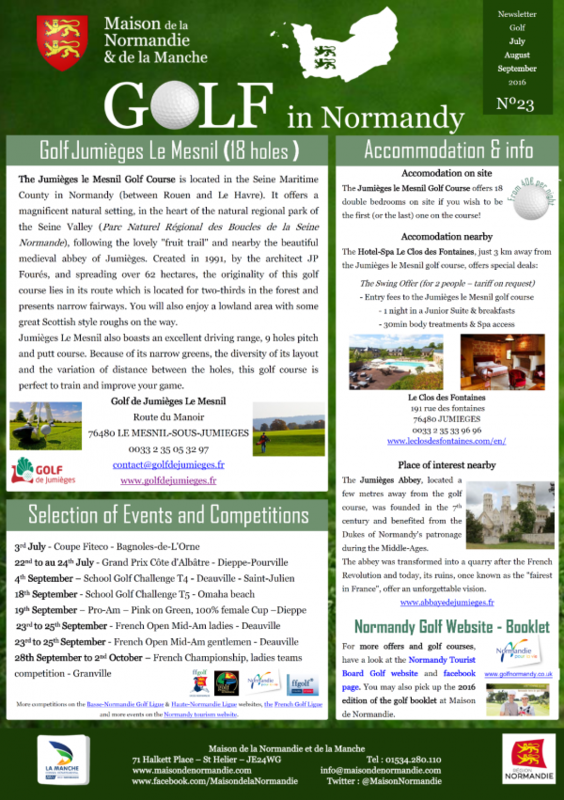 We are pleased to send you our Quarterly "Golf in Normandy" Newsletter, to give you information about the golf offers & events in Normandy! This month you may enjoy a presentation of the Jumièges Le Mesnil Golf course (in Seine-Maritime) as well as a selection of events for July, August &September 2016. For more offers and golf courses, have a look at the Normandy Tourist Board Golf website. You may also pick up the 2015-2016 edition of the golf booklet at Maison de Normandie.